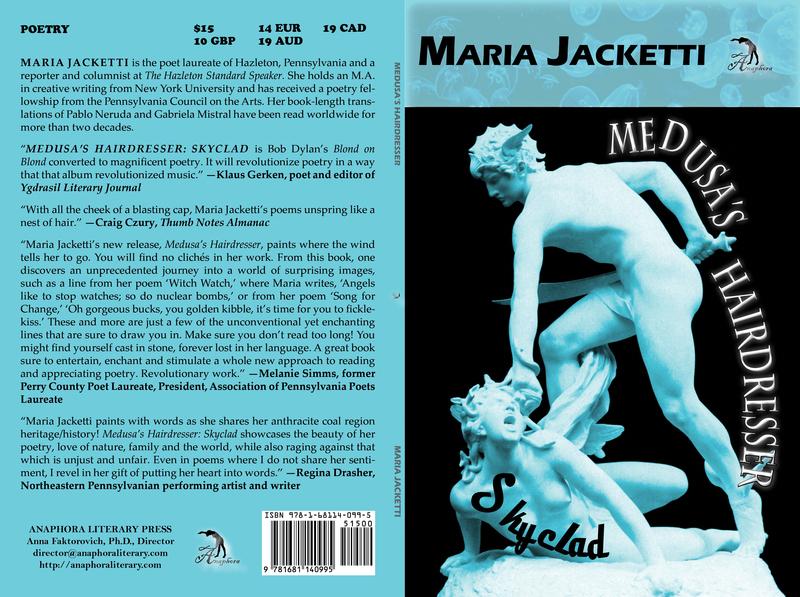 Maria Jacketti is the poet laureate of Hazleton, Pennsylvania and a reporter and columnist at The Hazleton Standard Speaker. She holds an M.A. in creative writing from New York University and has received a poetry fellowship from the Pennsylvania Council on the Arts. Her book-length translations of Pablo Neruda and Gabriela Mistral have been read worldwide for more than two decades.